Lynn feels that volunteer work is an absolute privilege and has found that the more one gives of oneself, the more that one receives in return. She loved her work with the Junior League of San Antonio and found it to be an excellent training ground for future volunteer positions, as well as a wonderful way of meeting people and making new friends. Her leadership positions in the league included Bright Shawl Assistant Chairman, Recording Secretary, Assistant Provisional Chairman, serving on Admissions as well as serving on Nominating Committee. Of course, waitressing and rummage were some of her favorites! Lynn’s post-JLSA community activities have included her volunteer work with the Battle of Flowers Association (serving on the board as Vice President-Luncheon, Vice President-Parade, Vice President -Court and currently serving as Assistant Chair of the Band Festival), Charity Ball Association (serving as Vice President- Rotogravure, Vice President-Charities, Vice President-Decorations for the Chrysanthemum Ball, Vice President-Datebook), Alamo Heights United Methodist Church Thursday Lunch Bunch Coordinator, the Military Civilian Club serving on the board as 2nd and 4th Vice President, Alamo City Cancer Council (serving as Co-Chair for the Alamo City Breast Cancer Update and Golf Tournament) and Cancer Center Council. She also has assisted her husband as liaison for the Military Affairs Council of the San Antonio Chamber of Commerce to eleven different Air Force and Army Commanding Generals for the last 21 years. 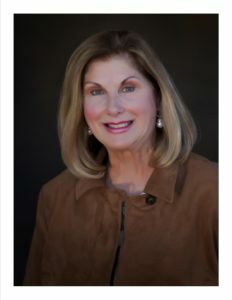 Since her diagnosis of breast cancer 15 years ago Lynn became actively involved with Susan G. Komen for the Cure, participating on the board and chairing the2004 Race for the Cure with her husband, Thad, as well as chairing Saks Fifth Avenue’s “Key to the Cure” event for three consecutive years. Lynn and her husband, Thad, have 3 children. Thad C. is married to Anna and they have 2 children, Thad (3) and Elaine (9 months). Will is married to Valerie and they have two daughters, Hallie (4) and Vivienne (2). Barbara is married to Max Schenker. Lynn loves spending her time with family and precious grandchildren.